Not all Koreans in Texas are happy about the 2018 Winter Olympics being held in PyeongChang, South Korea, and they are especially not happy about the opening ceremony. The display of unification was surreal, defying the reality that the countries are at war with each other, and that North Korea has repeatedly made threats to launch missiles at the United States. Appearing as one united country was a farce, many Koreans in Texas claim. 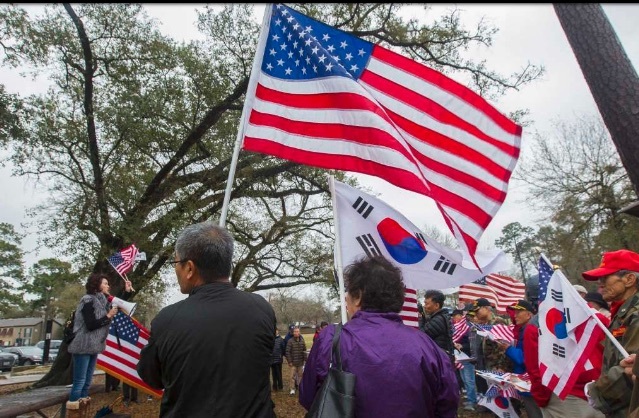 On February 7, roughly 100 Koreans gathered at Haden Park in Houston to protest and make their voices heard. Many endured the horrors of the Korean War and maintain that North Korea poses a major threat to world peace. Instead of the fake unity displayed at the Olympics, they sang their country’s national anthem. 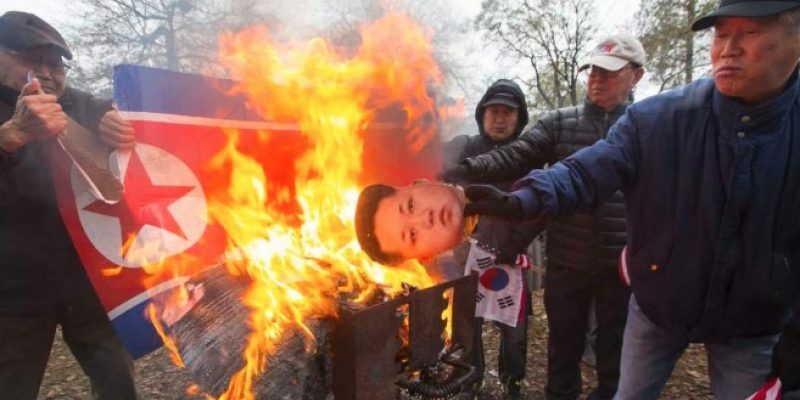 They burned a cardboard effigy of the North Korean dictator, Kim Jong-un. 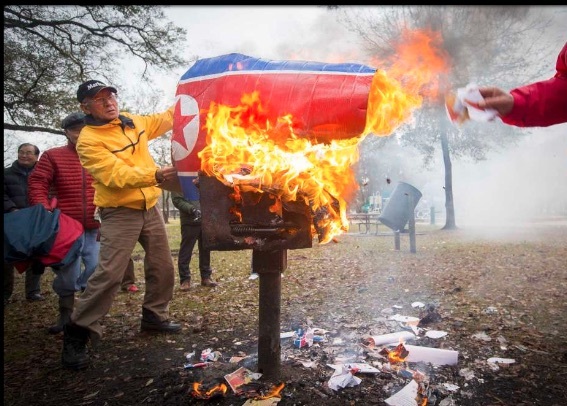 And, they burned the flag of North Korea. This is our Olympics. We should be proud of the Korean flag and we should sing the Korean anthem. We are doing this today because tomorrow, North Korea is exhibiting their militant power. What is this? This is not peace. The protestors haven’t forgotten the tension from 30 years ago when North Korea threatened South Korea right before it hosted the 1988 Summer Olympic Games in Seoul. This year, is the country’s second Olympic Games. Attendees and other speakers expressed their dismay over the new South Korean president and appealed to President Donald Trump and other world leaders to reject the faux unity displayed at the Olympics. They urged them to focus on the serious national security threats that North Korea poses.